A report published yesterday by Infrastructure New Zealand suggests that Scotland’s plan-led approach to managing infrastructure development “gives greater certainty and better balances strategic priorities with local interests than New Zealand’s effects-based RMA system”. 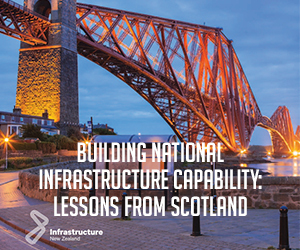 The report, titled, Building National Infrastructure Capability: Lessons from Scotland, provides an overview of Scotland’s recently-implemented top-down approach to infrastructure planning. Among its key recommendations, the report advocates the privatisation of Watercare; consolidation of the water supply and waste water treatment at a regional level; and the establishment of a central procurement agency.